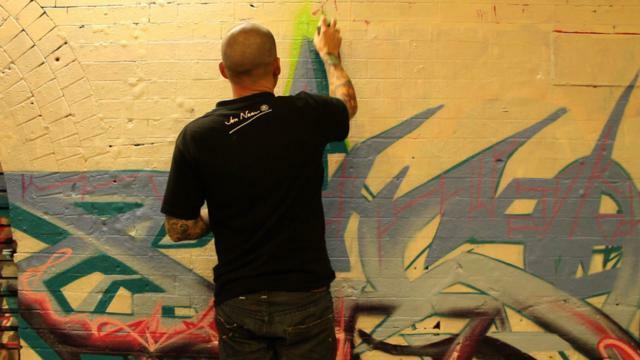 Last weekend saw the Battle Of Waterloo 2, an all-day graffiti competition which attracted dozens of budding Banksies competing for a cash prize put up by organisers and spray paint specialists Chrome & Black. 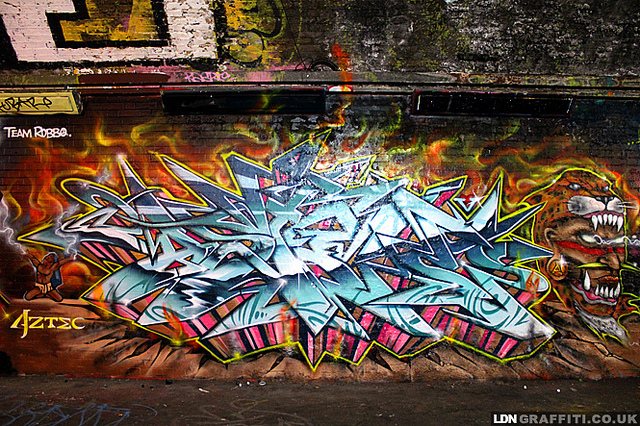 Graffiti is an international language (often of protest) and London and graffiti are no strangers with some of the last year’s biggest events in the capital having been marked with a choice graffito or two. Who can forget the images which greeted the Pope at the Royal College Of Art or in Shoreditch? Meanwhile, Village Underground pleaded with us to “Don’t Hate On Kate” and Southbank unveiled a “punk” version of the happy couple. 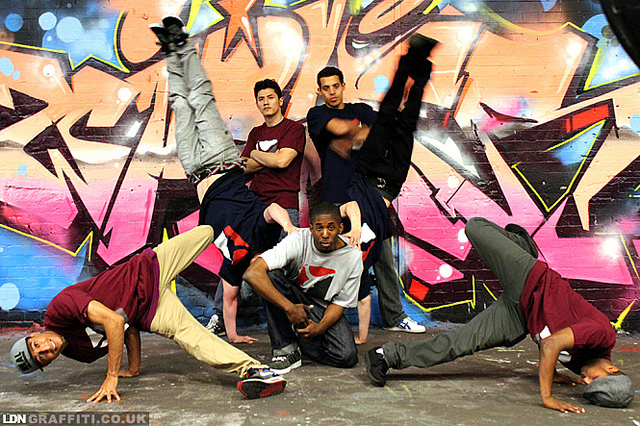 This particular event took place outside one of the exits of co-sponsors the Old Vic Tunnels. 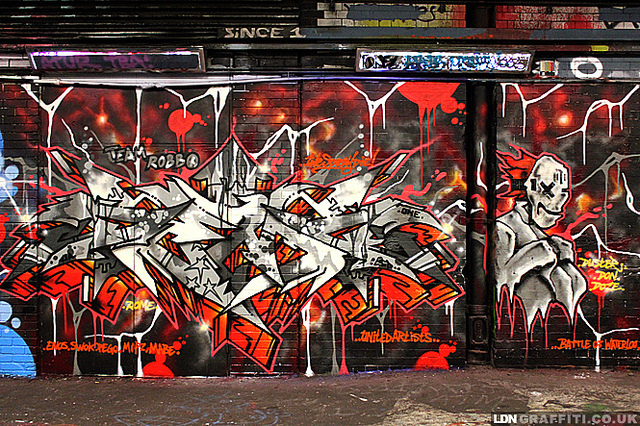 Leake Street is the location of one of London's few legal graffiti walls, albeit with rules including “You don’t have to be a gangster to paint here so don’t behave like one“. Each contestant/crew had four metres and between 9am-8pm to express themselves. For the shorter members of the community, especially those miffed about the postponement of the family-friendly Meeting Of Styles Graffiti Festival, there was also a free graffiti workshop for under-12s in the afternoon. 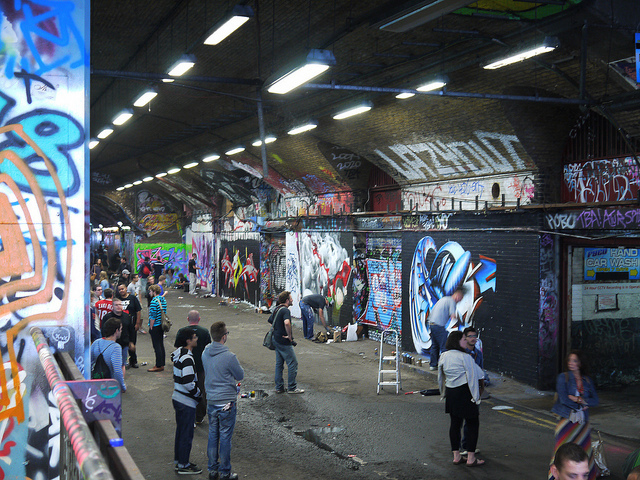 As organisers, we buffed(painted white) the whole tunnel the night before the event so that the artists would have a blank canvas to paint on. We arranged toilets with the Old Vic Tunnels for the artists. We arranged the sponsorship of 6 x free cans per artist so that there was free paint to work with also. The whole idea behind the battle is giving something back to the graffiti artists, customers and community. The free youth workshop and free T-shirts for the kids is all part of this, anyone with kids was invited, not to mention the £500 cash prize we paid the winner of the event straight from our pocket. Also, competition is good for Graffiti and pushing the boundries of what people can do in a limited time, bringing people together around the art also. Traditional Graffiti gets such a bad press compared to street art besides the fact that they are both illegally done! We wanted to push peoples ideas about graffiti art and the positive side to it. As the results show, graffiti is still a vibrant art form. Roll on Battle of Waterloo 3. Photos (c) Chrome and Black Limited plus John19701970 and joeppo from the Londonist Flickr pool. Don’t know your Eine from your Tox? We recommend the Street Art tour. 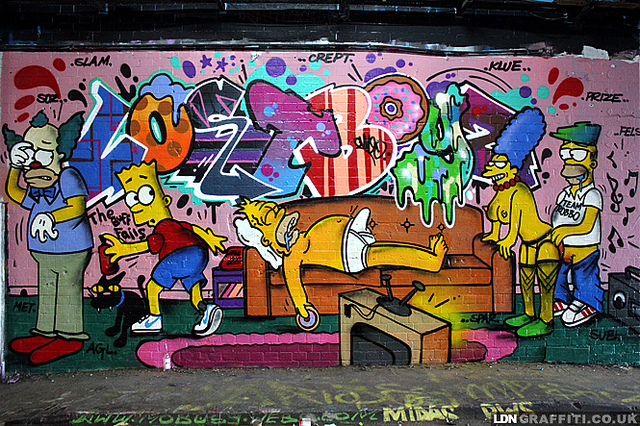 Want to read more about London’s great street art? We have more articles on the subject than you can shake a spraycan at.